● A room with the view. 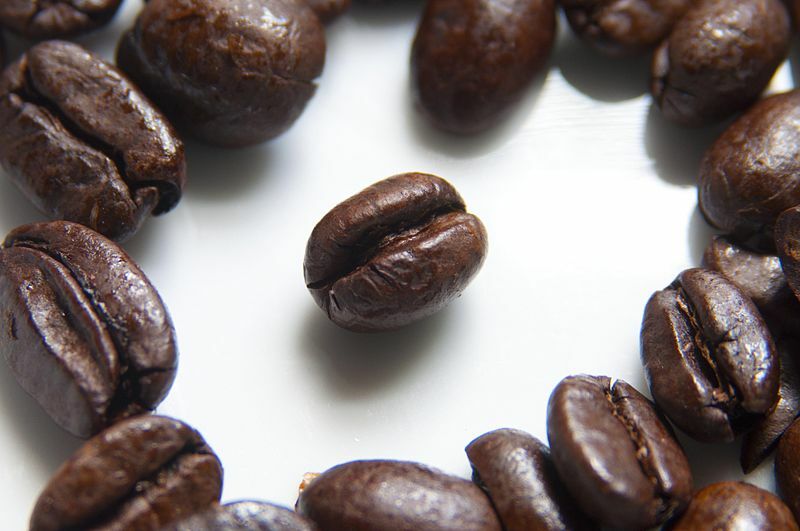 Espresso is a concentrated beverage brewed by forcing a small amount of nearly boiling water under pressure through finely ground coffee beans. 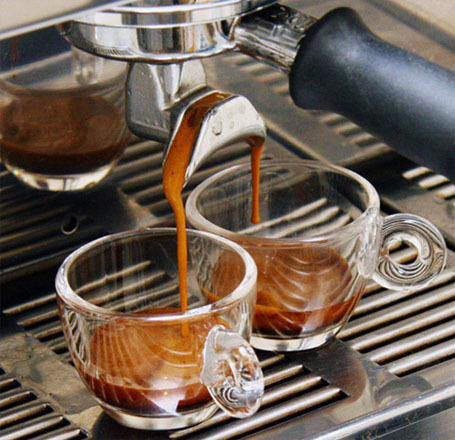 Espresso often has a thicker consistency than coffee brewed by other methods, a higher concentration of suspended and dissolved solids, and crema (foam). 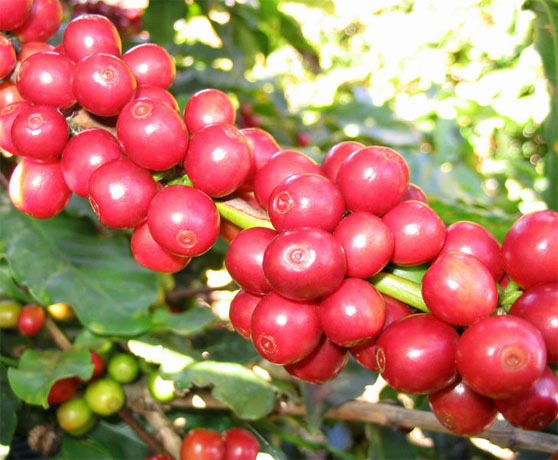 As a result of the pressurized brewing process the flavours and chemicals in a typical cup of coffee are very concentrated. 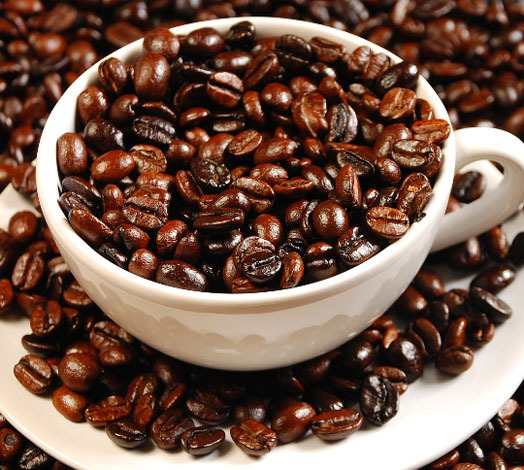 Espresso is the base for other drinks, such as a latte, cappuccino, macchiato, mocha, or americano. 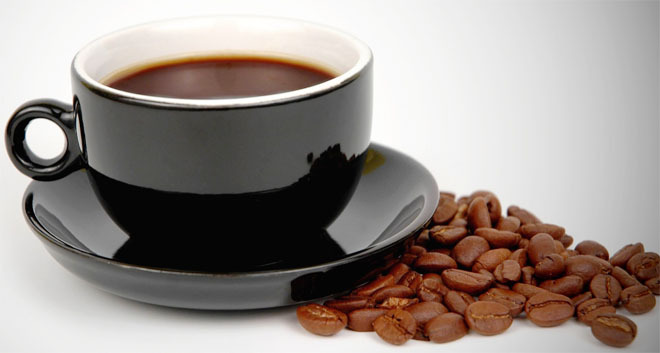 Espresso has more caffeine per unit volume than most beverages, but the usual serving size is smaller—a typical 60 mL (2 US fluid ounce) of espresso has 80 to 150 mg of caffeine, rather less than the 95 to 200 mg of a standard 240 mL (8 US fluid ounces) cup of drip-brewed coffee. A cappuccino is a coffee drink topped with foamed milk. It is made in a steam-producing espresso machine. 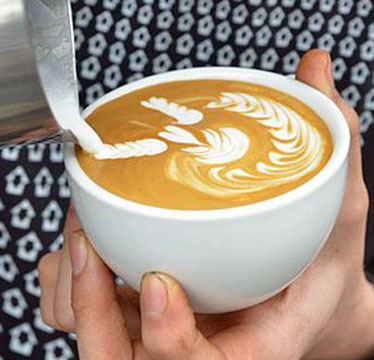 Espresso is poured into the bottom third of the cup, and is followed by a similar amount of hot milk. 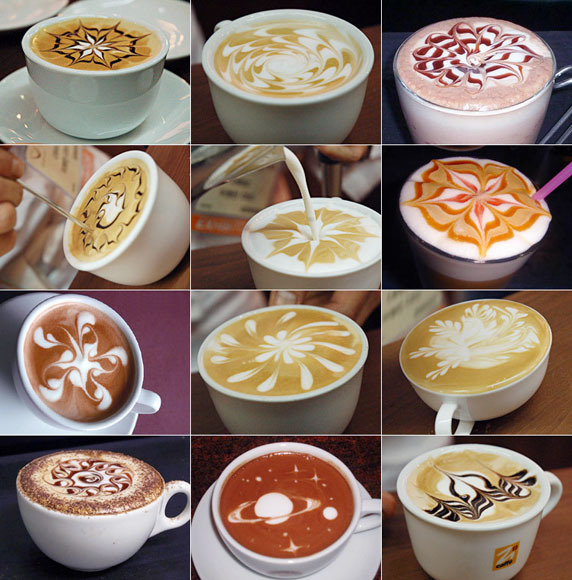 The top third of the drink consists of milk foam; this foam can be decorated with artistic drawings made with the same milk called latte art. Shaved chocolate, raw sugar, cinnamon, or other spices can be sprinkled onto the top of the finished drink and one can also melt chocolate into the coffee before pouring the milk. Cappuccinos are served with a teaspoon and then consumed. 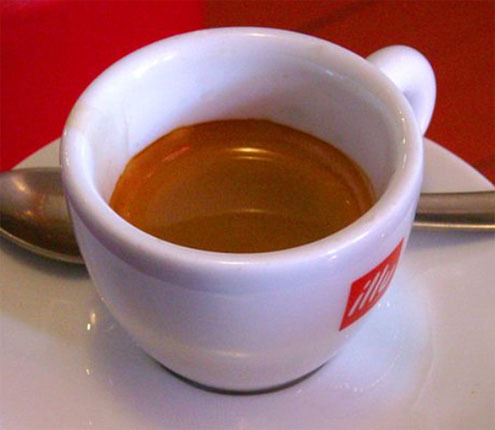 Caffè macchiato , sometimes called espresso macchiato, is a coffee drink, made out of espresso with a small amount of milk. 'Macchiato' simply means 'marked' or 'stained', and in the case of caffè macchiato, this means literally 'espresso stained/marked with milk'. Traditionally it is made with one shot of espresso, and the small amount of added milk was the 'stain'. However, later the 'mark' or 'stain' came to refer to the foamed milk that was put on top to indicate the beverage has a little milk in it, usually about a teaspoon. 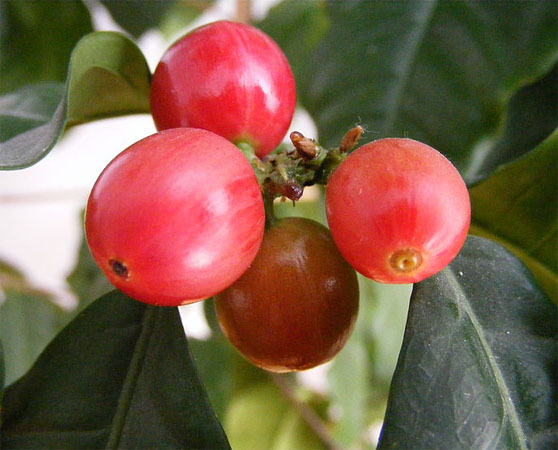 In fact, a caffè macchiato in Portuguese is named café pingado which means coffee with a drop, the drop of milk. A bikini barista is a person who prepares and serves coffee drinks while dressed in scanty attire such as a bikini or lingerie. This marketing trend (sometimes referred to as sexpresso or bareista) developed in the Seattle, Washington area of​​ the northwestern United States in the early 2000s, and gained international attention by early 2007. The retail establishments which employ bikini baristas often adopt titillating names, including "Peek A-Brew", "Grab n' Go", "Cowgirls Espresso", "Smokin' Hot Espresso", "Knotty Bodies Espresso", "Java Jigglers", "Espresso Gone Wild", "Java Girls", "Sweet Spot", and "Natte Latte". Growth outside Seattle -- Some entrepreneurs have opened bikini barista stores with success outside the Seattle area. 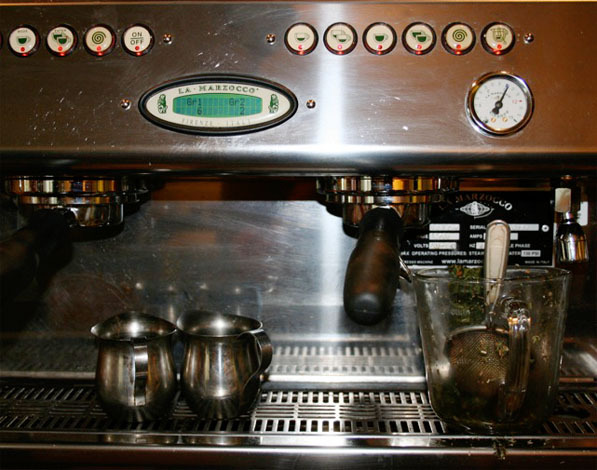 A Los Angeles area store called "Bikini Espresso" only lasted four months in the Los Angeles area in 2009, and closed with complaints of over-regulation. Other stores have reported that will open in places outside Seattle, Washington; including Aurora, Colorado, Portland, Oregon, Tampa, Florida, Chatsworth, Georgia, Las Vegas, Texas, and Missouri.